How To Save House From Evil Eye Effects? How to save house from evil eye effects, symptoms and best ways of protection, Difference between black magic and evil eye effects. Generally we think that only human being is affected by evil eye effects but it is not true, our home, house, office, work, occasions also affected badly by evil eye effects. When negative energies surrounds our home then not only one is affected but whole family trapped and suffers due to different types of problems. It is because for the decades old people take measures to protect our home from any type of negative energies by hanging black pot, black cloth, dangerous face mask, lemon, chillies, yantras etc. Whether anyone believe or not but we cannot ignore the presence of negative energies in this universe. In hindi evil eye effect is called "BURI NAJAR". Most of the people take black magic and evil eye effects same but there is difference, In black magic, some one perform special rituals to harm any one but in evil eye effects someones jealous feelings act as negative energies. There are some people who have quite enough power to destroy any one's life because of there eyes and thinking. When these type of people look at us our towards our home then special negative energies enter in our life and destroy every things. Read in hindi about कैसे बचाए अपने घर को बुरी नजर से ? Some faces sudden health loss and medical reports are normal. Some faces accidents of family members due to evil eye effects. Unexpected death of family members. Heavy financial loss without having any genuine reason also happen due to evil eye effects. Intolerable smell within house and from body. Quarrels among member of family also take place due to evil eye effects. Relationship break up also take place due to impact of negative energies. Pets starts dying or generate special sounds due to evil eye effects. Absent mindedness also seen in members sometimes which lead to heavy loss or accidents. Not working in-spite of having good knowledge and experience. Excessive use of drugs and alcohol suddenly. Read about Haunted House Remedies. Above are some effects of evil eye effects in house. It is very necessary to protect our house, home, office, work place from evil eye effects and for that there are some easy ways which I am providing below. 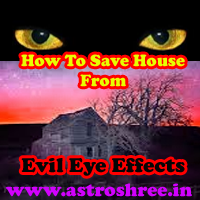 How to save house from evil eye effects, symptoms of evil eye effects on home, best ways to protect home from evil eye effects, Difference between black magic and evil eye effects. Hanging Lemon with chillies is one of the common and easiest way , it is necessary to change it regularly. Make a packet of nirgundi and mustard in a black cloth and hang it above entrance door on auspicious time. Get a charged Hanuman Yantra or Durga yantra or a Mahakali Yantra and install it above entrance door on auspicious day and time. Perform special hawan or yagya at home timely is also a good way to protect home from negative energies or evil eye effects. Utara of coconut is also a good way. Making swastik above entrance door is also an easy way to prohibit negative energies. Hang a Fitkari on entrance door. 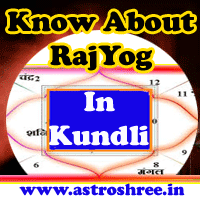 There are other ways also which an experienced astrologer can tell you after hearing and analysing your details. So if you are having problem of evil eye effects then it is good to take measures as soon as possible. How to save house from evil eye effects, symptoms and best ways of protection, Black Magic Remedies ,Difference between black magic and evil eye effects.